Porsche has once again made history and won both GTE classes at the world’s toughest long distance race. In the pro-category, the Porsche 911 RSR with the starting number 92 concluded the 86th edition of the Le Mans 24 Hours in first place after 344 laps. The driver trio Kévin Estre (France), Laurens Vanthoor (Belgium) and Michael Christensen (Denmark) held the lead for almost the entire distance and controlled the race on the tradition-steeped 13.626-kilometre racetrack. The works drivers crowned their flawless performance with class victory number 106 for Porsche. Technical problems with the #93 nine-eleven threw the car far behind during the night. Patrick Pilet (France), Earl Bamber (New Zealand) and Nick Tandy (Great Britain) lost 25 minutes due to repairs and ultimately finished on eleventh. For Romain Dumas (France), Timo Bernhard and Sven Müller (both Germany), the race was over after seven hours. Their car (#94) retired in the night with suspension damage. While the second car fielded by the Dempsey-Proton Racing team (#88) was sidelined with suspension damage, the 510 hp 911 (#99) run by Proton Competition narrowly missed out on a podium spot in fourth place. 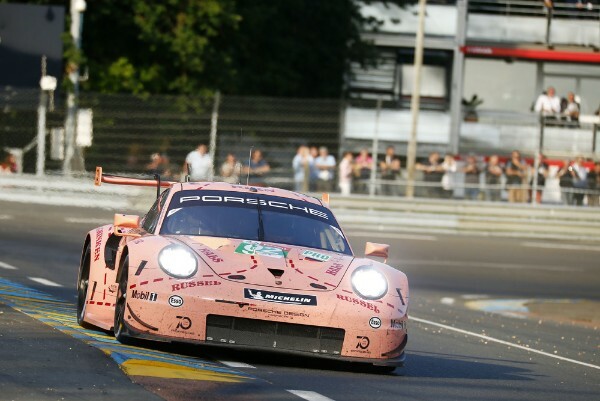 The Porsche 911 RSR with the starting number 80 (Ebimotors) and 56 (Team Project 1) finished the Le Mans 24-hour marathon on sixth and seventh respectively. The vehicle campaigned by Gulf Racing (#86) was relegated to the back of the field at the beginning of the race after becoming entangled in an accident caused by another competitor. Pulling out all stops, the team fought their way back up the order to finish on tenth.